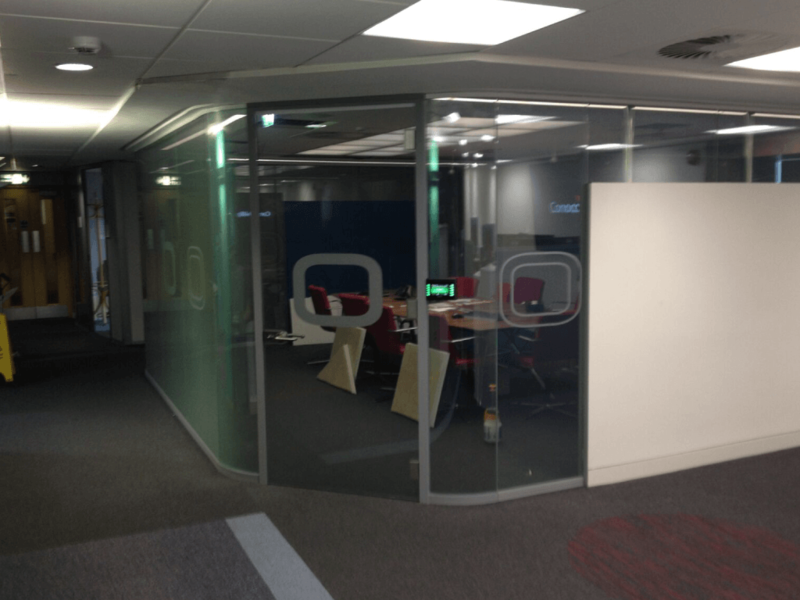 Switchable Smart Glass is a fantastic solution for corporate environments, helping to bring controllable glass privacy to an environment without spoiling a corporate theme or interior design style. Due to the flexible and clinical nature of Switchable technology, it can be integrated easily into most design themes, as it can be installed in most places normal glass is present in the form of the retrofit Self-Adhesive Switchable Film solution or even replacing it with the full glass solution through the various forms of specialist glass options Intelligent Glass can offer. When switched to clear, the technology presents just as normal glass, so in that context, the switchable functionality accents the role the glass plays in the design. However, there are still certain limitations seen from Switchable technology and how it can be integrated into certain aspects of a design, forcing designers to compromise on things they may not wish to. For example, granting Switchable functionality to curved glass has traditionally been a challenge. Due to the past manufacturing processes of Switchable Glass products, they have often been manufactured to standard flat glass specifications, fulfilling privacy needs in windows or traditional glass dividing partitions. In applications that necessitate a curved solution, industry standards usually recommend the application of Switchable Film retrofitted to existing glass, allowing the technology to bend to the shape of the glass, creating a Curved Switchable product. 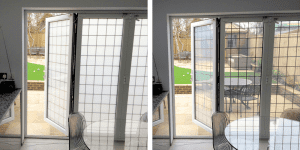 This is not as robust a solution than what a full glass solution such as Switchable Toughened Glass could offer and restricts the application exclusively to environments without moisture, unlike our Switchable Laminated Glass. Recent advancements in the Research and Development Intelligent Glass have undertaken has given rise to various new products and product options, including the recent Curved Switchable Glass, which offers a full glass solution to curved glass privacy needs. What makes this product special is that it brings the integrative flexibility of Switchable Film to Switchable Glass products, which come with their own specification advantages, such as sound insulating properties with our Sound Insulating Switchable Glass. 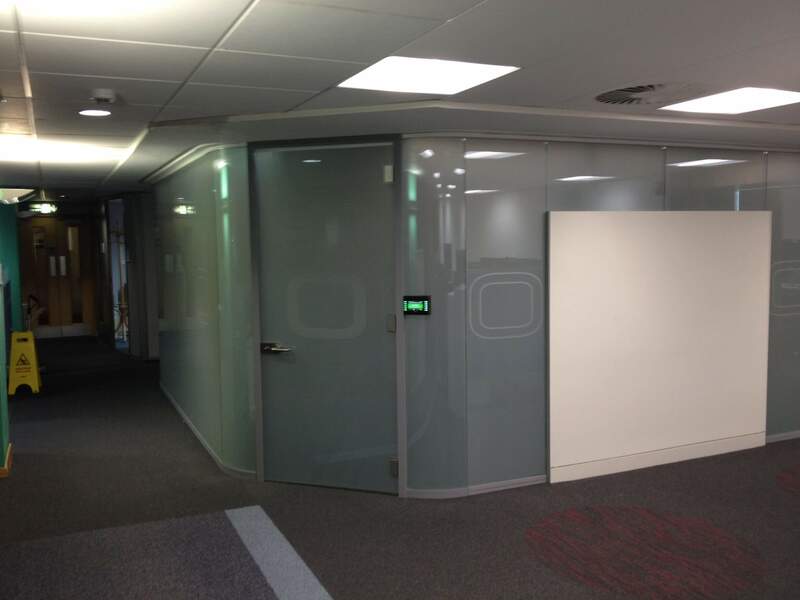 Or, for example, by using Switchable Laminated Glass, it allows designers to specify a curved glass solution that can be used in applications that wouldn’t be suitable for a film solution, such as in wet rooms, showers or areas of high footfall. Using Curved Switchable Glass, designers can now specify a curved glass privacy solution that meets more requirements, making Switchable technology more flexible and versatile than ever. This opens up uses of Switchable privacy in places that it may have been challenging to facilitate previously. For example, for hospital privacy, a laminated safety glass solution is not only recommended, but often essential to bring glass Health & Safety compliance in order. 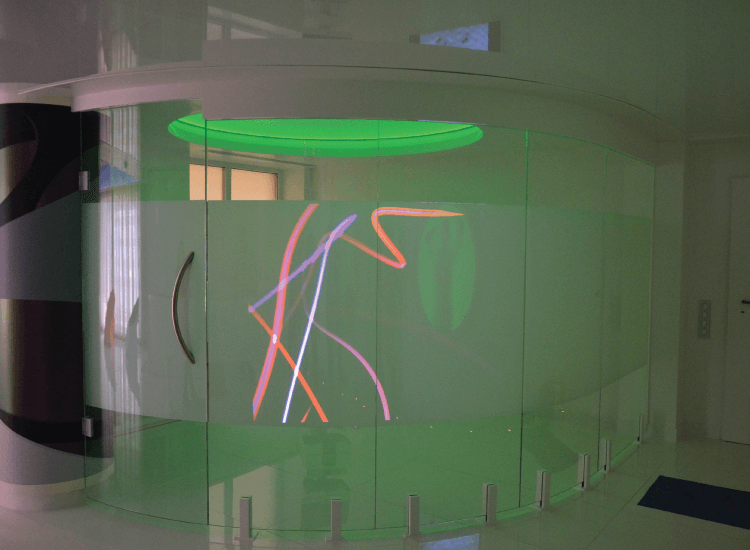 However, if the hospital wanted a curved glass solution, Self-Adhesive Film would not be appropriate as it would not be easy to clean to the required standards a medical environment would demand and it may be vulnerable to various types of damage in an application that requires a more robust solution. With Curved Switchable Glass, the required protection is now achievable, allowing the designer to specify compliant or required glass options without compromising on the privacy functionality.